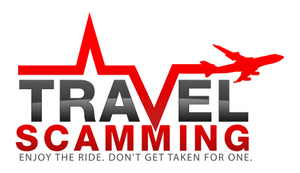 The most common type of travel scams are taxi scams. Unfortunately there are corrupt taxi drivers just about anywhere you go. While there are plenty of honest taxi drivers, and I love relying on them for advice on where to eat, it pays to know a few tips so you don’t get taken for a ride. This isn’t just about protecting your wallet, but also your safety. Taxi drivers in some countries have been known to kidnap tourists, and have robbed, beaten, and even killed them. 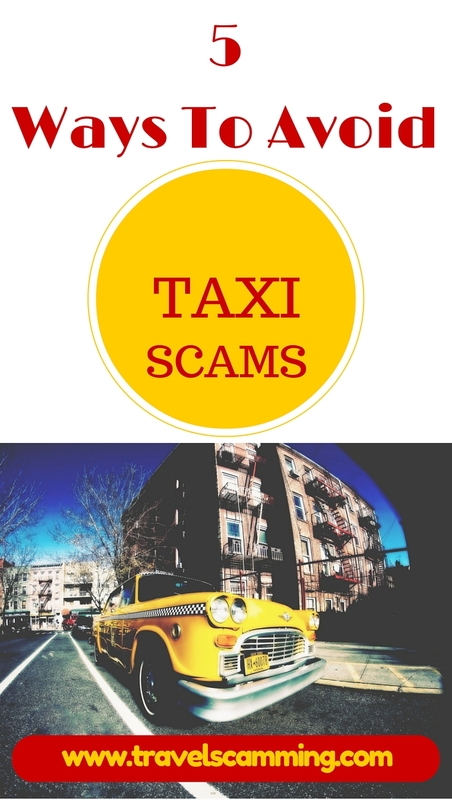 Avoid taxi scams by following this advice. When it comes to taxi drivers robbing, overcharging, or kidnapping people, they tend to go for the people who don’t have all of their wits about them. If something does happen, it will be harder to fight back if you aren’t fully conscious. If you know you will be taking a taxi back to your hotel, take it easy on the drinks. Many crimes and taxi scams have happened in cars that aren’t real taxis. Make sure that the taxi you get into is owned by a legitimate taxi company. Also, make sure to write down the taxi number and the driver’s name. This is also important advice if you happen to leave something behind in a taxi. If you are arriving at a new destination, look up the taxi rates, so you know what to expect. If you forget to look up the average rates ask the people at the bus station, airport, or hotel before going out and flagging one down. If there is a taxi meter, make sure that the cabbie uses it. 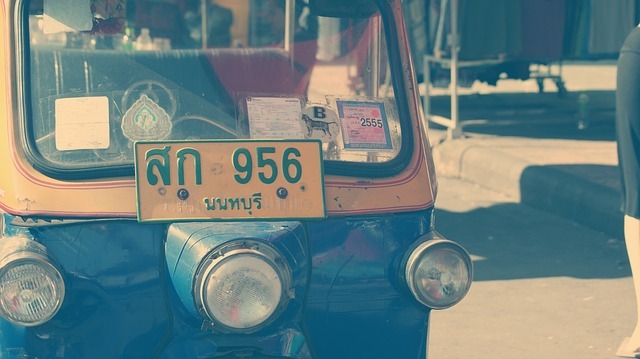 Bangkok is notorious for the drivers not wanting to use their meter. If the driver refuses, then get out of the cab. If there is no meter, make sure you negotiate your rate before getting in the taxi. One of the most common taxi scams is for the driver to tell you that they don’t have change. You can avoid this problem by carrying small bills. Also, if a driver tries to tell you that you owe more than the bill should be, you can tell them that’s all the money you have and get out of the taxi. Another common taxi scam in some countries is one in which the driver drives away with your luggage still in the trunk as soon as you get out of the taxi. Some drivers have also been known to raise the fare price and not release your items from the trunk until you pay the increased price. Keep your belongings next to you, and you won’t have this problem. Do you have tips for avoiding taxi scams? Another taxi scam is when a driver works with bandits to either kidnap you or to rob you. This happened to me while I was travelling with another woman and another man. It was at about 10.30 at night, the driver was very friendly (perhaps too friendly on reflection), he had us singing and generally worked at distracting us. My Spanish is virtually non existent but I did catch him mentioning something about 3 gringos on the phone. I just thought he was checking in with his wife. I started to feel uneasy which increased when he conveniently missed our turn. I screamed at the driver, my friends told me to chill out. The driver stopped shortly after when three bandits rushed the car and sat on us. There was a shake down , money credit cards etc, then there was a moment when they were looking at holding us to extort money from relatives, or to milk credit cards of their daily limit. After many psychological games the had had enough dragged us out of the car and strangled us enough for us to lose consciousness and left us in the dust somewhere on the outskirts of Arequipa Peru. Solution, use you mobile phone to take a picture of the drivers ID and send it to a friend they will then ensure that you arrive at your destination safely. We spent 3 months in Bucharest without a single issue with the taxi drivers the vast majority were great. Except for our last day on our way to airport I didn’t have small bills and the driver claimed that he didn’t have change, although he said he had been working for 14 hours straight. I didn’t let get away with it though I left him waiting at the curb while I went into the airport and got change, needless to say he didn’t get a tip. Yes, the “having no change” thing is something a lot of taxi drivers like to pull. Good for you! I’ve been scammed before. The good thing is that the amount is not that big. It really is helpful when you know the place first before going, even from a simple research or google can be a lot of help. That’s a great tip about not riding in unmarked taxis. Like you say, many crimes and taxi scams have happened in cars that aren’t real taxis. That has always been my fear, so I always make sure that I’m not riding in unmarked taxis. Though many Americans are wired to assume that taxi drivers in other countries are up to no good, I’ve also found that most drivers are honest. Sure, scams happen. But with the right tips and a watchful eye, you’ll get where you want to go without being taken for a ride. Thanks for the article! I was surprised to know that you suggest not taking a taxi if you are drunk. Being fully conscious can help save you if someone were to come at you. I have never been drunk so I can’t relate but when people say don’t drive drunk take a taxi instead, I get a little worried for my friends. Being too drunk can cause you to do things that are embarrassing or something that you would never normally do. I really appreciate your tips, I wish more people would use them. I didn’t suggest that, because, even if you pay more, I think a taxi is safer than public transportation if you are intoxicated. And, I definitely don’t want to encourage people to drink and drive!